Pixy delivers visualization solutions for safety-relevant functions developed in accordance with the European norms EN 50128 and EN 50129. Both hardware an software are conceived for a usage in accordance with the Safety Integrity Level 2 (SIL-2). So far, several safety projects have been realized successfully. A SIL-2 certificate gets issued by TÜV respectively an external assessor after an intensive evaluation. 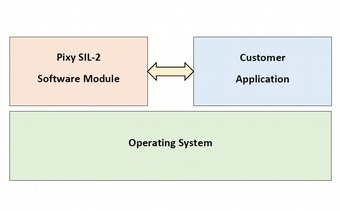 Independent SIL-2 Software Solution Furthermore, Pixy provides its customers the opportunity of making the own applications fit for SIL-2. By means of an additional software module (certified according to EN 50128), the safety function can be integrated into an own customer application.